This year I’ve been striving to ensure that our homeschool year has been planned out well after spending two years discovering that an unplanned homeschool journey doesn’t work for our family. All of the sudden early on this week as I was looking at my planner I found that before our new homeschool begins next week I only had one day without any going on. I’m really glad that I thought to look over my planner before I ran out of time to prep for my first homeschool week with two middle schoolers! One of the biggest reasons that I made a few big changes to our homeschool journey this year is because I have two middle schoolers for the first time. I believe that the few middle school years should be used to prepare our children for their high school journey and beyond. I want my children to be completely independent learners before they reach high school, so in order to accomplish that goal I must ensure that they have the tools and abilities necessary to do so. This doesn’t mean that I won’t help plan or be a part of their high school homeschool journey, it simply means that I want them to be able to pick up their lessons for the day and complete them done without needing detailed directions or excessive help from me and that they will be ready to pursue their own interests during their high school homeschool journey and throughout their entire lives. Preparing for a middle school homeschool week looks a lot different than it does for a Kindergartner or even elementary students. As our children approach the high school years their schoolwork load begins to increase and we must become more diligent to ensure that they are completely their lessons completely and properly. The middle school years are when our children need to truly understand that learning is a part of life and that schoolwork is necessary to help them succeed throughout their life. While we are moving to a more relaxed homeschooling journey, I am still putting together a weekly lesson plan including activities that I would like to do with my children. To keep our homeschool journey organized and well planned I’m using the Hey Mama Planner for myself and the Intermediate Schoolhouse Planner for my kids this year. In addition to our homeschool lesson plans, I’ve put together Year Round Homeschooling Planning Packs for each month of the year that include silly holidays with fun crafts, recipes and other educational ideas for the entire month and I’m excited to be adding fun activities to our weekly lesson plans using them! Since there are more subjects for middle schoolers to complete during a homeschool year, I decided that instead of trying to tackle all of them at once that are going to complete a couple and then move on to others. We’ll be starting the year off with Government, Art, Music and History in addition to the core subjects; Bible, Math, Writing, English, Literature, Spelling/Vocabulary and Penmanship. After we’ve completed our Government, Art, Music and History courses, we’ll move onto Science, Geography and Maine History later in the homeschool year. It doesn’t matter what homeschool curriculum you are using, there are always projects that your kids either want or need to do each week. While I like to believe that I have everything we’ll need for our homeschool year ahead of time, I’m proven wrong time and time again. I already know that for Week One I need yeast and corn starch for a couple of our fun activities, as well as directions to a local hike for another! Prior to each new homeschool week I will be creating a shopping list that includes everything I need to get for the next week’s homeschool lessons and activities. After 6 years of homeschooling I’ve learned that if school supplies aren’t on my shopping list, I’m not going to remember to get them. Since we are mostly using digital curriculum for our homeschool journey this year, Dropbox is one of my must have homeschool organization resources. It allows me to easily add and remove digital resources for my kids to use at anytime during our homeschool year. For our textbook homeschool resources, I ensure that the teacher’s manual, student textbook, answer key and test booklets are always kept together on our school bookshelf. This year I plan to begin organizing our next week’s homeschool lessons, activities and resources on Wednesdays. This will give me time to ensure that I have everything printed and that I have all the supplies on hand or any activities we’ll be completing the following week. Once I’ve completed our weekly homeschool lesson and activities plans, I put all of the resources (DVDs, literature, planners, textbooks, etc.) we’ll be using for the week in a couple of square totes so that they’re ready to go and easy to move wherever our homeschool day takes us! Being well prepared for a middle school homeschool week is necessary because our children’s education is growing increasingly more detailed. We have to ensure that we are ready to teach what we’ll be covering or that we have the resources necessary to ensure that we can learn alongside our children. 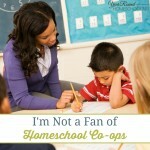 Homeschool moms with middle schoolers need to realize that they aren’t just teaching the ABCs and 123s anymore. Homeschooling middle schoolers requires more responsibility and planning than previous homeschool years. In order to expect our children to be more focused on their education, we must be better prepared to educate them. It is important that during the middle school years we ensure that our children understand that school is a priority. They need to see that there will still be time to live life and play outside, but they have to start focusing and becoming more responsible for their own education. We have to show our middle schoolers that we are dedicated to their education before they will choose to be as well! 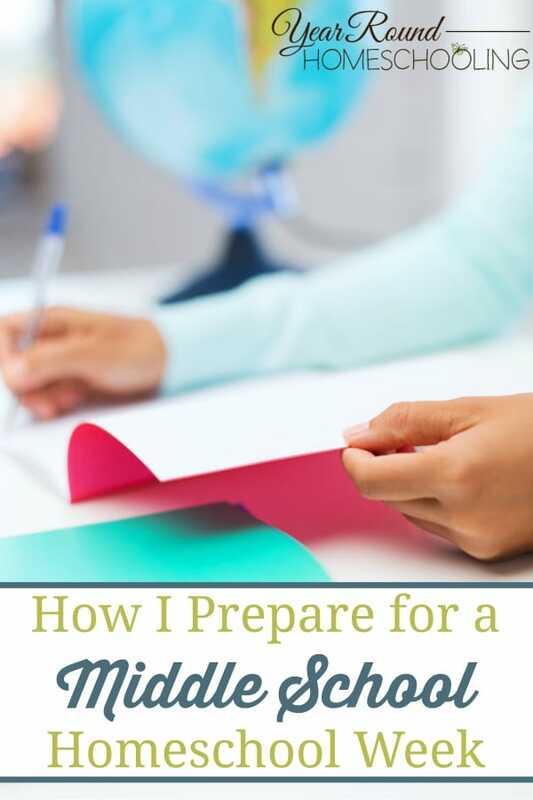 How do you prepare for a middle school homeschool week? We’ve started using a Planbook for my son to fill out; I’m filling it out for him the first few weeks of school so he can see how it goes and what type of a course load I expect him to do and then I plan to turn it over to him. I’ll watch over him and check it each day for the first month or two until he feels confident he knows what he’s doing and then I’ll check it each Friday. Hopefully that will help him become more invested in his schoolwork and help him gain a bit of a independence too. That sounds like a great plan! I’ve never seen or used a Planbook, but I know that my middle schoolers are loving being more independent and knowing what they have to do each day. Blessings! This is only our second year of homeschool. My oldest is in the eighth grade. I agree that middle school is prep for high school. I feel a lot more pressure with him to “get it right!” In a way I wish we had started earlier so we could have had some of the more fun, adventurous times I am having with my littles! Just make sure you don’t push too hard. 🙂 Enjoy the moments of today and have fun, adventurous times in middle school! Blessings, Jodi! We use MobyMax for Math, Language Arts, Literature and Writing. I have a weekly planner template that I print out and populate with the week’s Science and Social Studies lessons and activities. Arts & Crafts are for Fridays and I tend to just wing it. My older kid is very artistic so he leads us on this one. Such a great look at the unique needs of Middle School homeschooling. It’s often overlooked and I think your ideas are spot on! Great job! 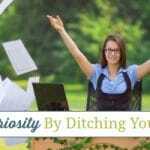 Thanks for linking up with us at Hip Homeschool Moms!